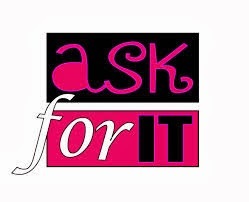 When J. Christopher Dunn started his recent blog with: “Do you dislike asking for stuff? Do you get all wigged-out and feel it’s self-serving to ask for something you need or to a lesser extent want?” He had me. This IS me, personally and professionally. So I don’t have any problem giving him a Debby Barnes Voice-Over Rah-Rah! for his Voice-Over blog: “The Power of Asking”. Mr. Dunn not only identifies with how difficult asking questions of clients can be, he aptly outlines how he goes about asking these questions himself. (His examples are really helpful.) I appreciate his insights. What he writes about Client Information, Final Production Copy and Words of Praise is a needed reminder of the kinds of professional questions we should always be asking. Rah-Rah! Mr. Dunn. These tips are handy. Asking never felt so unquestionably good! Do you get too wigged-out to ask? So much of what I read on a daily basis really resonates with me. And I can get quite caught-up in identifying with what the writer has written. I ponder their particular views, what they experience, how they feel about what they experience, how they use those experiences, not to mention others’ responses to those feelings and/or experiences. Phew! Needless to say, there’s a lot to get caught-up in. So my Debby Barnes Voice-Over Rah-Rah! always has a reason to be cheering for someone who's got something meaningful to say. There’s much to be gleaned from someone else’s life, their stories, thoughts, feelings and experiences. Let’s face it, a unique perspective can be really helpful. And it's a bonus when they offer sound advice as well. Take Otishia "Ms. Tish" Emmens for example. I really dig her VO Kryptonite article that Voices.com’s CMO Stephanie Ciccarelli comments about and graciously showcases through the site's VOX Daily. As Voice-Over professionals, we have to be all about our reads and expressing them in a unique way, so I'm sure we can all appreciate Ms. Tishs' helpful hints. Getting tongue-tied and tripping over words while you're reading a script is a downright Kryptonic nuisance. So she encourages us to keep this at bay by reading out-loud every day. And she suggests being creative while we do it. She’s also a real advocate for changing-it-up by volunteering to read for the blind or for literacy programs. I particularly love Ms. Tish's line: “Just as Superman's goals were to save innocent people from the evil of the world, the voice over's job is to be just as diverse in rendering their voice to heal, educate and entertain.” As a Voice-Over Talent myself, I’m a big proponent of reading-out-loud on a daily basis in order to hone my craft. And I look forward to volunteering my voice in some capacity as well. Yeah, I agree with Ms. Tish: "If we aren’t practicing, we’re not perfecting!" 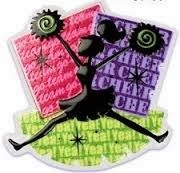 So Ms. Tish and Voices.com’s Stephanie Ciccarelli are getting a Debby Barnes Voice-Over Rah-Rah! from this ‘cheerleader’. 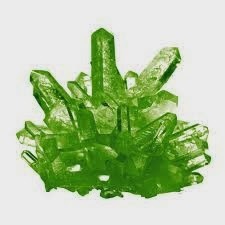 Ms. Tish: "Keep the Kryptonite away. Read every day." I was a middle school and high school cheerleader for what seemed like forever. Rah-Rah and all that. I loved it and I didn’t want it to end. 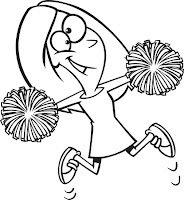 So I got all warm and fuzzy recently when a loving and insightful friend told me she thinks I’m still side-line cheering today. Huh? Yeah. 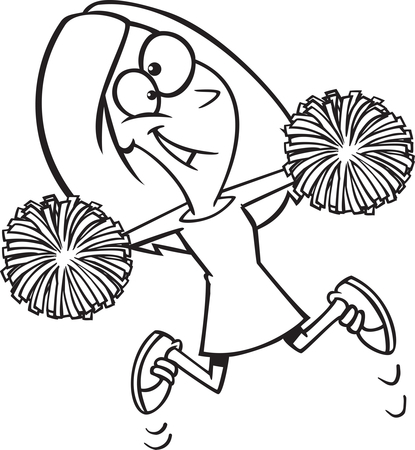 The cheerleader in you just reveals itself in more quiet, personal and unassuming ways now. Hmmm. This gave me pause. She might be right. I guess my Debby Barnes Rah-Rah’s! are still being heard. Cheering and/or encouraging people is in my bones. Being a cheerleader never really did end! I mention this because I continually read about how essential it is for me to start blogging in order to enhance my online presence and drive more ‘traffic’ to my website for better SEO (Search Engine Optimisation) results. (I’m a small business, after all. I need all the positive attention I can get. And this will hopefully lead to more great connections and ultimately more VoiceOver jobs, right?) But every time I was faced with the blog reality, I honestly bristled. Yuk. It’s not me, I’d say. I just can’t. I won’t. I shouldn’t. I mustn’t. It feels all too narcissistic. (This is the kind of unrelenting head and heart stuff that plagued me day after day while I considered the blog possibility.) I mean, I can read, consider, comment and big-up those who are writing their particular online journals, if you will. But writing one myself or doing something similar is not for me. No. First of all, in the beginning, I didn’t really get the ‘blog’ thing. Wait – you mean certain people actually write down what they’re thinking and/or have experienced in their lives or businesses then post it online in order to let everyone else read it and comment about it? And it can be beneficial for them, their businesses and their readers, not to mention their SEO? And it encourages a healthy exchange of thoughts and ideas from people all over the world? Right. You mean it’s an educational connecting point, of sorts; one that others can enjoy, identify with, learn from, or apply after reading their blog? Wow. In other words, it can be a win-win all ‘round? Yes. Well, at the risk of jumping-into a game that’s already in play; I’m jumping-in. First of all, because I love life’s win-wins. And second of all, because all games need players, all players need cheerleaders and all stadiums need spotlights. So from now on I’m going to be cheering others on with my particular Rah-Rah! posts. 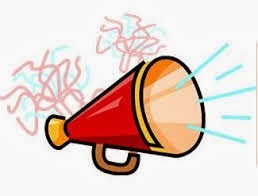 I’m going to shine my spotlight on those informational accounts that in my humble opinion are fresh, relevant, considerate and highly beneficial for every one’s highest good inside and outside the Voice-Over ‘stadium’.‘The Voice You Want To Get To Know’ wants to get to know YOU and wants others to too. So with my Debby Barnes Voice-Over Rah-Rah! I’ll be cheering for you and what you’re sharing. And I’ll be holding virtual pom-poms while I do it!